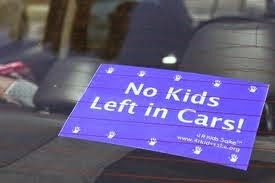 Leaving your kid in a car has many negative effects on children. From neglect to death there is nothing positive about leaving your child in a car. Being left in a car is another form of neglect especially a kid that does not know what is going on or one that resents being in the car. Many people think that they will be gone for only a little while. But for the child, sitting in a hot car feels like forever. there is barely anything for them to do and they become bored after a while. Some parents accidentally leave there kids, its not that uncommon. You may think how could someone do this and what terrible parents but sometimes it just comes down to being a mistake. "News organizations are reporting that Kyrese was left in the car while his parents Robert Anderson, 29, and Amanda Jo Anderson, 30, were at a funeral. Before the funeral, the parents took two cars to drop their children off with a babysitter at 1 p.m. The parents delivered their two older children but they forgot Kyrese in the back of the vehicle that they left parked at the babysitter’s house. (It sounds as if one parent thought the other had brought Kyrese into the house.) The couple drove the other car to the funeral, thinking all three of their kids were playing happily at the sitter’s. When they returned after the funeral at 4 p.m., the babysitter said she assumed Kyrese was with his parents. The Andersons rushed to the car they’d left at the house and confronted the worst possible nightmare. Their beloved son was dead." Especially in black or leather interior cars if you don't have windows that are tinted the car will start to heat up even more then the outside of the car. Just think if you were left in a car, all alone in a hot summer’s day. Now think of it as a kid in that position, many kids are left in a car every year. 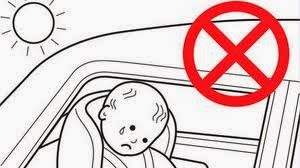 Many things happen when a kid is left in a car; it could be kidnapped, have medical problems and a number of other things. The end result of a kid being left in a hot car for too long is heatstroke. 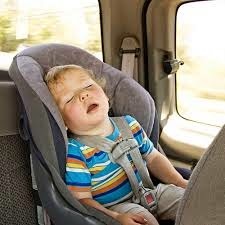 "Fact Sheet - Heatstroke Deaths of Children in Vehicles." Fact Sheet - Heatstroke Deaths of Children in Vehicles. N.p., n.d. Web. 24 Mar. 2014. <http://www.ggweather.com/heat/>. "Heatstroke." Definition. N.p., n.d. Web. 25 Mar. 2014. <http://www.mayoclinic.org/diseases-conditions/heat-stroke/basics/definition/con-20032814>. "The Mommy Files." The Mommy Files. N.p., n.d. Web. 10 Apr. 2014. <http://blog.sfgate.com/sfmoms/2013/06/25/when-parents-accidentally-forget-children-in-hot-cars/>. Could have added a little more info, but the concept was good, and made people become more aware of the dangers, and that it could simply be a mistake. I like how you didn't attack people that do this, on accident or on purpose. I feel like it ended abruptly, but overall if you want some quick info on the dangers a baby is in when left in a car, you got it!. I also like how you explained the emotional neglect a baby might feel.